Jon Clarke Publishing Group offers free website to winner. Jon Clarke Publishing Group, one of the leading Graphic Design and Marketing Companies in the DFW area, is giving away a free website to help a small business advance its online marketing program. Along with the U. S. Small Business Administration’s celebration of Small Business Week 2006, held in Washington, D. C., April 12-13, Jon Clarke Publishing Group will also be honoring and awarding one small business owner a FREE Web Site as a tie-in to this occasion. During Small Business Week 2006, more than 100 outstanding small business owners from around the country will be honored in our Nation’s capital. Four major awards will be presented, culminating with the announcement of the National Small Business Person of the Year. Today the technology is available to all businesses large & small. So it doesn’t matter whether you’re a ‘one man band’ or a multi national company or whether you operate nationally or locally. You have equal status on the Internet. Your web site becomes your store front, sales letter, marketing pitch and advertisement all in one. Compared to other media, the Internet enables a business to advertise at considerably lower costs. It may not be a replacement for other marketing but the Internet is generally cheaper than advertising on television, radio, or in newspapers, magazines and even direct mail. “By automating a web site, a business can be open 24 hours a day, 7 days a week. No extra staff costs and no overtime rates to pay! 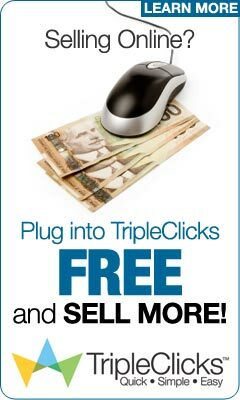 Your site is accessible to anyone, anytime,” says Clark. Small Business owners can visit www.jonclarkepublishing.com to register to win the grand prize of a website design and development, a $2,500 value. Jon Clarke Publishing Group is a full service publishing company which includes graphic design, website design, printing, and small business marketing services. « Your Time Is Important – But Do You Know How Much It’s Worth?